Starting August 15th, 2016 I took a position as CAD manager for Studio 2015 Jewelers in Woodstock, IL. This is a familiy owned business that also has a manufacturing company that includes Dougherty Enterprises, and Meadow Hill Corp. I create designs for the retail and manage the flow between the store, Manufacturing, and the Jewelers to complete the jobs entirely in-house. As a Graduate Gemologist I also assist with Appraisals and Gem Identification when needed. John Wears many hats at State Street Jewelers, and in the Community. Wax Carving, watch battery replacement, web site updates, computer related support, appraisals. Helped to set up 2 new stores in the Chicago area. Wax Carving, watch battery replacement. Started Gold Art as a retail business doing custom, made-to-order pieces and original designs, Appraisals that are state of the art, repairs, antique jewelry restoration. Steady increase in sales over 7 years, with a database of over 3000 loyal customers. 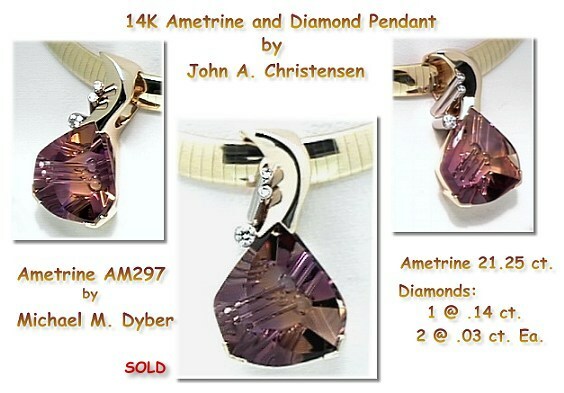 I have been the webmaster at www.goldart.net since May of 1996. I have developed an important web presence with this site, at that time generating 14% of my total gross sales. I am the World Internet representative for International award winning artist Michael M. Dyber. I had a local area computer network at my store, and at home, that I set up & maintain, and have experience with digital photography & graphic manipulation. Handled all phases of repairs, custom work, Appraisals, production casting. 1983 - 1990 The Jeweler's Bench, Corp.
A 9 person trade shop, over 40 accounts, specializing in custom work, management, stone and materials buyer. Personally trained over 20 bench jewelers in all facets of repair, stone setting, and fabrication. May 2003, "World of Rolex" Training, Akron, OH. 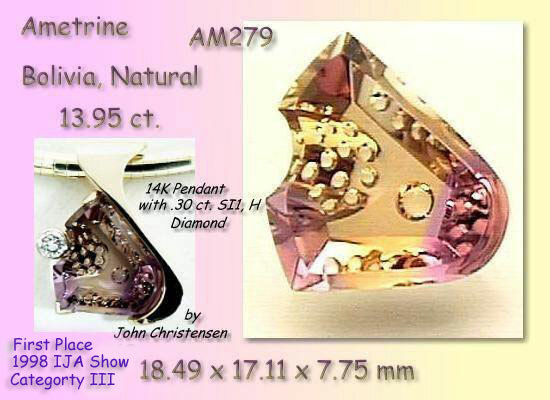 The piece pictured at the top left of this page was one of the top 32 designs through JA at the International show in New York, February 2000. 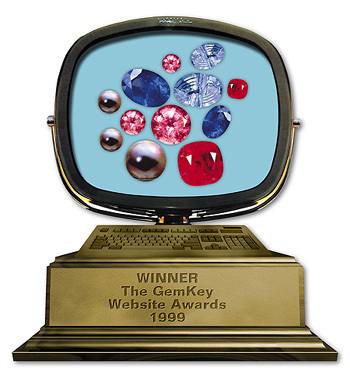 Top right is the 2003 Winner. In 1999, I had a very successful year, running my own operation. In January 2000, I relocated to St. Charles IL., then June 2013 to Maple Park, IL. I am currently working. I have been the foreman of a 9 person trade shop, Owner / Manager / Salesman / Bookkeeper / Buyer of a retail store, Asst. General Manager of a 6000+ sq. foot, multi million dollar jewelry store with over 20 people on the payroll. I am in my element, in beautiful downtown Geneva, IL, working with a great staff of experienced professionals, and loving it! Stop in to the store and see me at State Street Jewelers, 230 W. State Street, or call 630-232-2085.